You may have come across Simon Sinek on You Tube talking about the Why of your business. The idea of coming up with a Why is profound especially if you are setting up a home business. But, it is nothing new. It’s been around since the 1980’s. There have been many definitions of the Why. Some call it business philosophy, others call it core values. The most popular definition is mission statement. Some even confuse mission statement with vision statement. Some simply integrate vision and mission. The thing is, if you know your purpose, you have your Why. Sinek is right in saying that telling your customers what you believe, and who you are differentiates you from those who simply sell their products without even knowing why they do it. He insists that you should begin with a Why. And, he is right. Mission statements begin with core values. Strength emanates from the core. Your core values, therefore, define who you are; your charism. Your charism is what makes you unique. For example, from all the millions of online businesses on the web, what makes you different and why should people buy from you? Your charism essentially dictates your Why. In fact, your unique charism should impel you towards your mission. It’s like, if you have a perfect sense of symmetry and balance, unconsciously you will have the urge to paint. Or, if you have a gift of speech, it’s more than likely you will become an inspirational speaker. I’ve known people who answered the call of mission very late in life. Doctors who became singers. Engineers who became priests. Priests who left the priesthood and raised a family. Why? It’s because you cannot deny who you are. Charism (popularly known as charisma) is an inherent gift. So, what has it got to do with going into business? While the transition maybe hard, what your business is, eventually becomes who you are. Your core values will be infused into and become integrated with how you conduct your business. Who you are and what you stand for are translated into how you deal with your customers and how you do business with them. So, the mission answers the – why of your existence, and it also answers the purpose of your business. The Why, is simply the urge to satisfy the need to know who you are, and what you intend to do with who you are. Mission demands loyalty. The idea is, mission is like the master of the destiny of your business. Loyalty to your master, you know. There’s a story that happened sometime in the early nineties about a sugar producing business. A group of sugar cane producers who owned a sugar central had for many years been producing refined sugar that was exported to other countries. Their families have owned their sugar plantations for generations and grew up with the sugar cane culture ingrained in their genes. So, what they were doing was absolutely consistent with who they were – sugar cane producers. Then, sometime in the late 80’s they began diversifying into fish canning. A little bit off the mark but still workable. The corporate planning group simply did a little rework of their corporate philosophy from producing world-class quality refined sugar to world-class quality food. Sugar and fish are both food. The philosophy was now to produce quality food, rather than produce quality refined sugar. Oh, yes, the canned sardines were exported too. World class. Then, some wise guy in the engineering department came up with the idea of going into construction. They have all the brains. Civil engineers, mechanical engineers – people who work in and ran the the mill. The engineers have clout because it was they who actually run the show in the sugar mill. So, the top brass decided to go into the construction business, and poured millions into it. They went into construction full blast; roads, bridges, buildings. The company even built the gym of the university from where I graduated. What happened? The venture collapsed. Hundreds of millions were lost. Why? The thing with mission is that you have to be true to it. As I said before, it demands loyalty. Like a dog to its master. You have to be true to your calling. Once you have defined your WHY, you just have to be a slave to it. Let’s have a look at a realistic example. Let’s take a a screw driver. You use it to drive screws, right? That’s what it is made for; it’s purpose. That’s WHY it’s called a screw driver. But some people used it as a cold chisel. Of course, the screw driver handle won’t be able to withstand the brutal hammering done on it. It will be damaged severely. It’s not like a cold chisel that is actually built for hard pounding. The same thing with mission. It cannot be misused. It will be “brutalized” severely. So, you will have noticed the disparity between food and construction. Going into the construction business was a misuse of the Why. Even if they had tried to rework the mission it would be a hit or miss because the owners know next to nothing about construction. It was not in their blood, so to speak. Another thing about mission is that it is virtually permanent. It will take a great deal of effort to redefine your purpose. 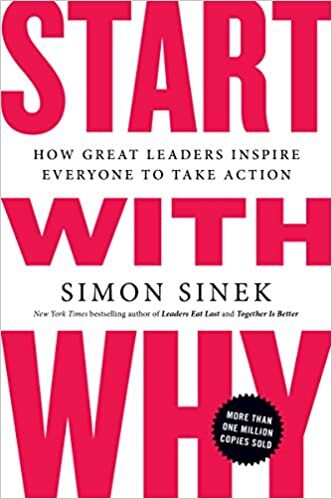 Redefining your WHY would mean changing everything about your enterprise; your line of business, your vision about the new venture, your goals and strategies, and how you would conduct your business considering that you are now engaged in a different venture. The story above illustrates the need of being true to your purpose. Think of a desk. What’s the purpose of a desk? The desk is that thing we use to write or set our laptops on to type documents. Yet, sometimes we use it to stand on to reach up to something we can’t even touch on tiptoes. More often than not, it works. But, everything has a purpose. That’s why ladders were invented. So, as you can see, a food company went into building roads and bridges and it just didn’t work out well. That’s why the construction venture simply lost a lot of money for the business. Next Next post: Is Mission the Same as Vision?